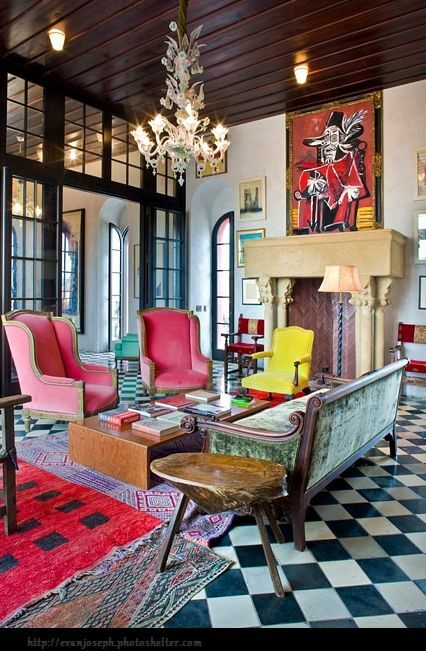 What screams vibrant and makes a statement more than happy, bold colors? Incorporate these bright, exciting hues into your home and let your home speak for itself with colors that are expressive, stylish and chic. Continue reading to see all of KF’s favorite bold color statements and ways to incorporate them into your home. HOT pink is one of the most vibrant and chic colors of them all. It instantly brightens a room and makes for a space everyone wants to be in. Paired with gold and white accents, this gorgeous hue of pink is sophisticated. 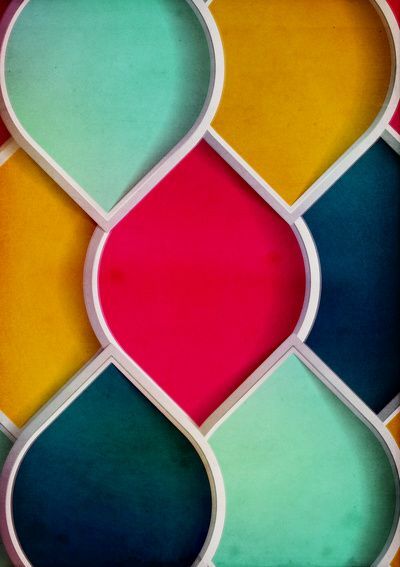 Paint a wall, ceiling, or half of a wall to add geometric flair to the room. Add in little touches and shades of pink throughout the room to complement and create a glam, gorgeous space..
Look at this yellow! Yellow brings out the navy walls and is a fantastic complementing color to in this elevated statement space. 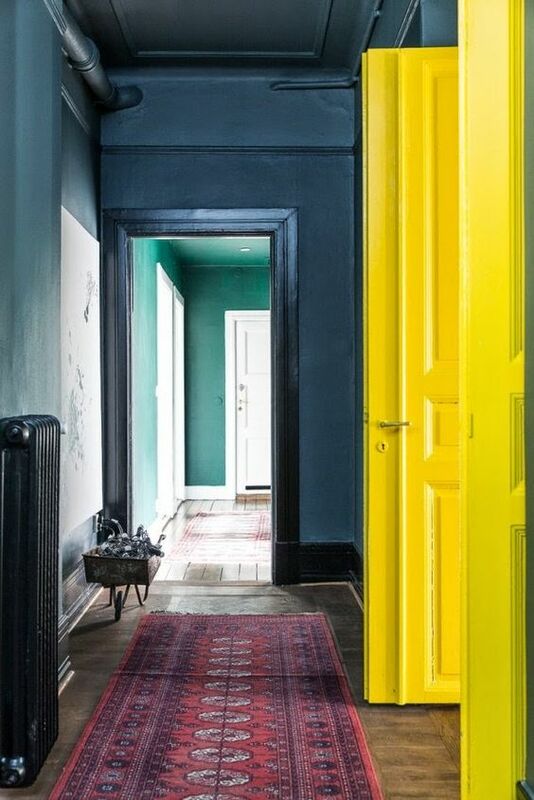 Painting doors is a fun and unique way to bring bold color into your home in a subtle yet impacting way, and these doors are THE statement you need in this space. 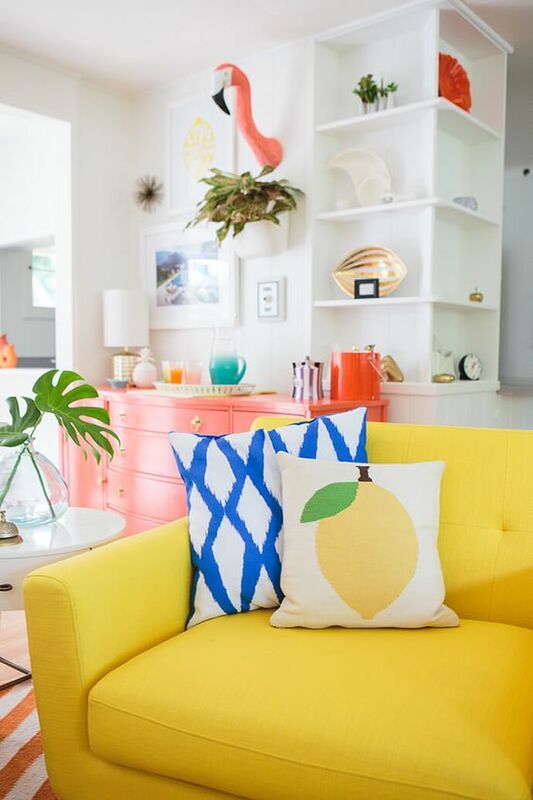 If you’re hesitant to bring in a bold color as a statement piece in your home on such a large scale, show off your colorful taste through a statement piece of furniture. This dark green tufted bench completes the bedroom with just it’s hint of green. It ties together the navy, gold, and burnt orange hues perfectly, and is a classic way to make a statement. Choose bright and fun colors for Spring and Summer! 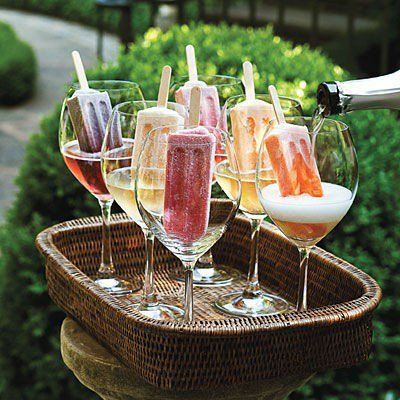 Remember paint is forever temporary, so have fun with it because it can always be changed! 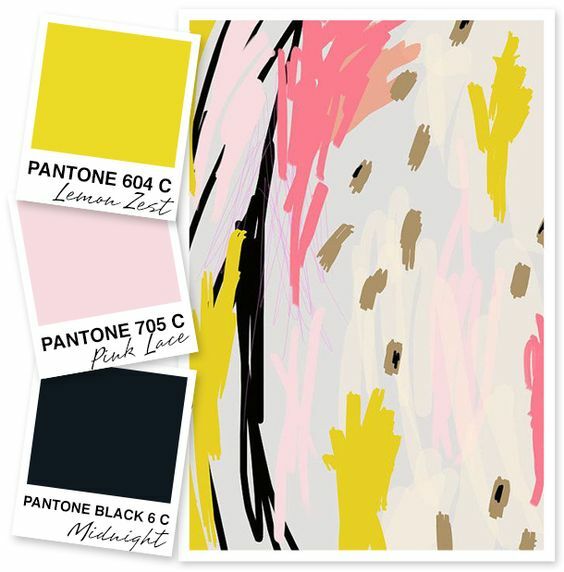 This lemon zest Yellow brightens the pink lace blush and becomes the perfect compliment. Throw in some black to really make an impact and define, and you’ve got one chic palette. Vivid color against a white wall and shelving stands out in just the right way. Add in fun accent pillows and accessories that show off your personality. Remember it’s totally fine to pair color with color – it makes for a happy environment and stylishly on-trend makeover. 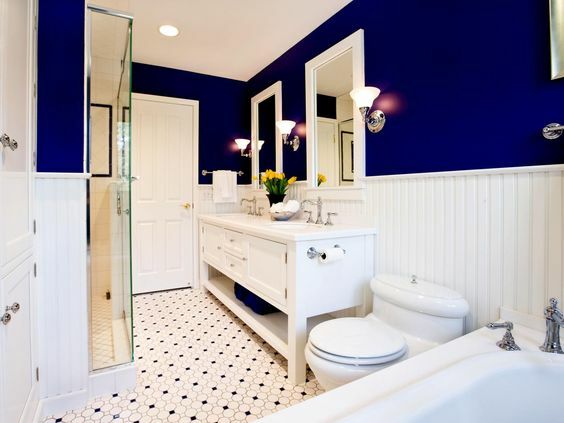 A bathroom is a good place to start when adding in bold color. It’s a small space and doesn’t require much effort to revamp. 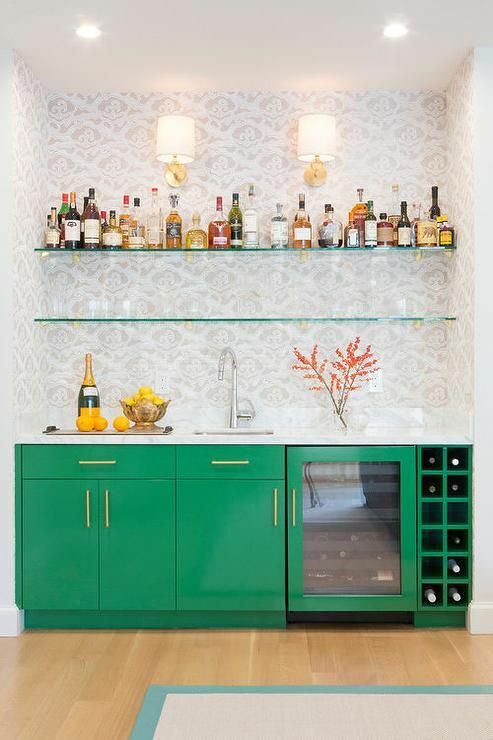 Besides a bathroom, a small bar or kitchen area is easy to clean up by painting a bright color like this amazing kelly green, and it makes a clean and modern statement! 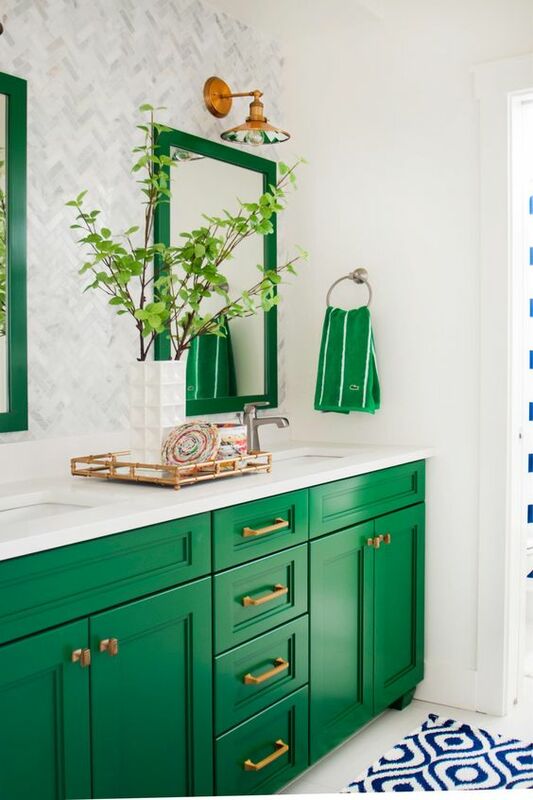 You can almost never be too bold with your color – it’s totally up to you! However, sometimes color can overwhelm a room and everything else can get lost. Choose certain areas in your space to stand out and go from there. Make sure there is a flow and order to your space so that it stays appealing and liveable. 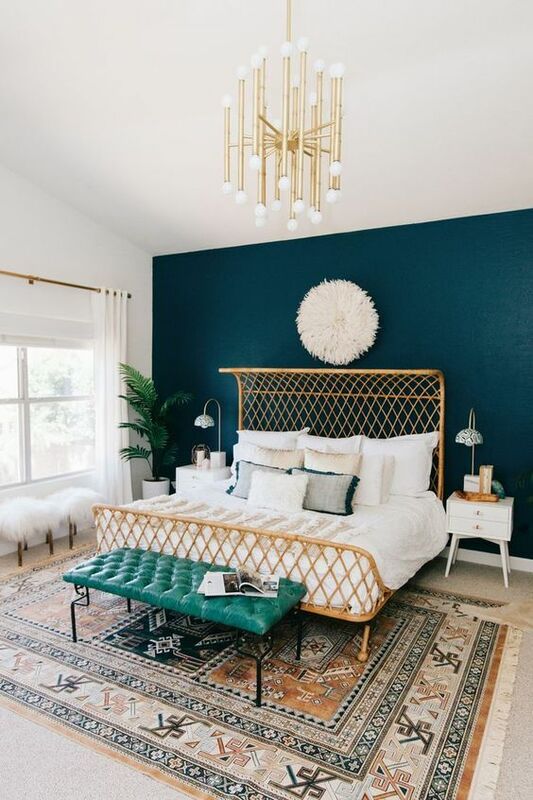 This room conquers the rules of color perfectly. 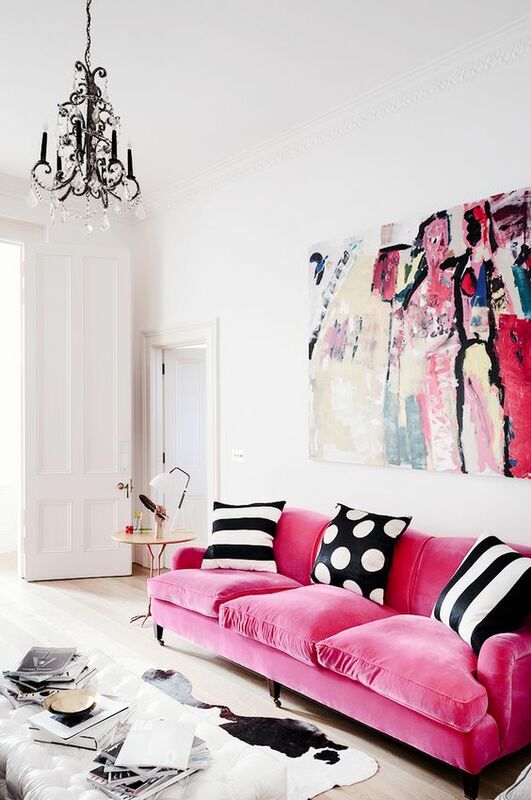 The pink fuscia sofa makes the perfect focal point and is tied together through several other aspects. The cowhide rug, abstract painting, and bold patterned pillows all complement each other in a subtly, chic way. The neutral walls serve as the perfect backdrop for each statement making piece so the room is inviting, not overwhelming. Don’t let color intimidate you. The more layers of color, the more eye for design and style you have. Expertly layering rugs and colorswith the furniture in your room models a well-lived and beautifully cultivated space.